Not too long ago, a group of about 20 of my friends had gotten together to work on and complete a community service project. We had been working on it for a while and decided that we would find something to do together for the next 24 – 36 hours to finish off the weekend. We all started doing some internet research and I ran across the Sacred Grove Retreat Center out in Gold Hill, NC. They talked about the retreat activities that they offer there including meditation retreats, yoga retreats, and holistic retreats. But the thing that really caught my eye was that they had a Ropes Challenge Course right here in NC. We called and made arrangements for the rest of the weekend. When we arrived, we were given the tour of the property where we got to see everything from the baby yurt, the grandmother yurt, the log cabin with kitchen facilities, and the high ropes course. We all got settled in, we did a few fun things together, including a big bonfire that we all sat around and told ghost stories like when we were kids. We all woke early the next morning so that we could get a good head start on the team building activities that we were told about that were to occur in the morning. The team building events were amazing and much different than I had anticipated them to be. The way their trainers worked with the team and got us to think outside the box and have to work seamlessly together to complete them all. After lunch though, we started on the high ropes challenge course. It was exhilarating climbing the poles and doing the crosswalk wires. Then we will all took turns on the power pole and it was like you were on top of the world standing up there. Then you jumped, leaving all your self-limits behind, hitting the big Power ball on the way down. All of it is designed in such a way that you feel totally safe and supported. 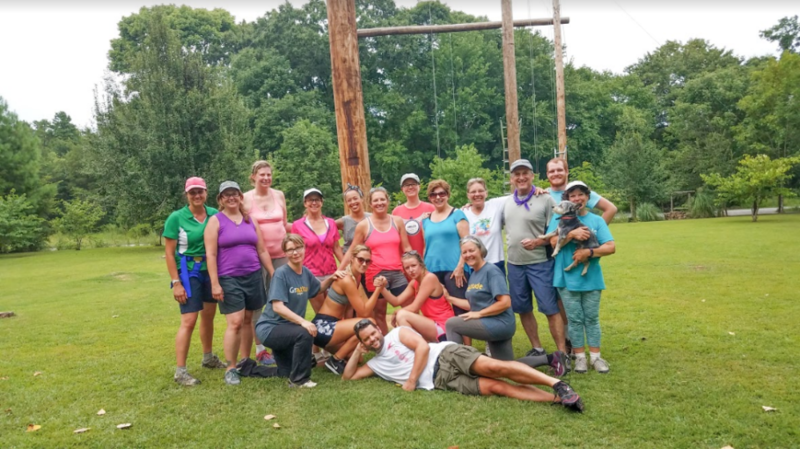 All in all, our adventure turned out to be a great and I would totally recommend Sacred Grove Retreat Center for all of your retreat and team building events.